After a second baby, this young couple traded their tiny New York apartment for two floors of a townhouse, only to realize their old furniture would only fill one room in the new place. With both the kitchen and the boys' nursery on the garden level, we determined most of their day would be spent downstairs and created a living space where they could play, eat, and entertain guests of all ages. 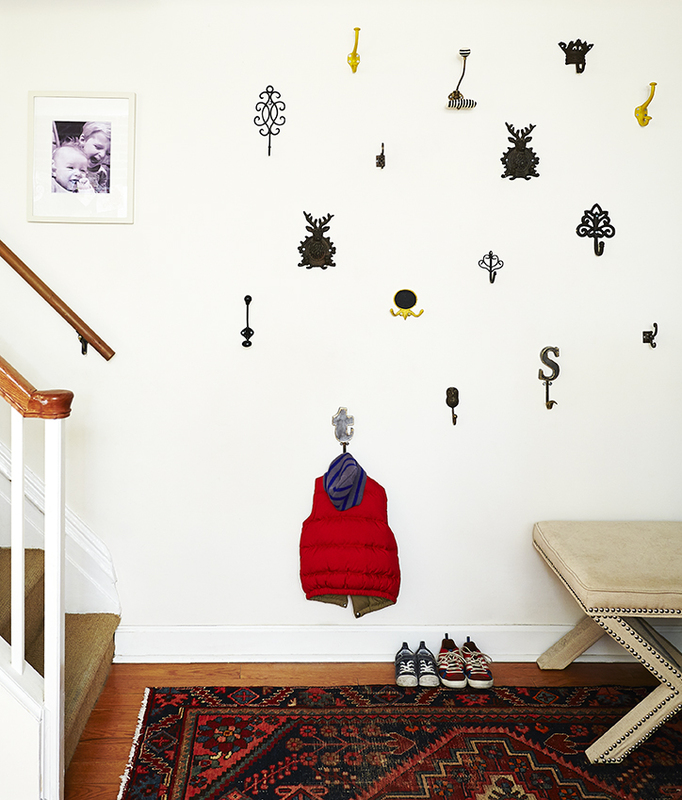 Design challenges like limited light and little closet space, actually inspired the idea for a cheery yellow color scheme and a gallery wall of hooks to hang coats and backpacks. Upstairs, it's a bit more formal, but still child-friendly. Acrylic chairs around a reclaimed wood table and a show-stopping chandelier, create a very chic downtown New York dining room, but are also pretty indestructible to crayons and puzzles.